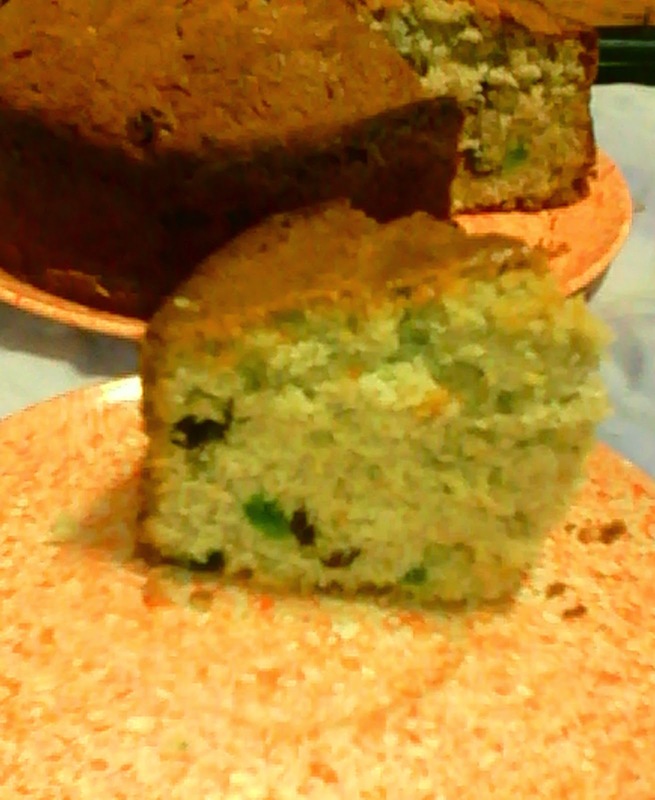 Today's recipe is a fruit cake with dried fruits and green cherries. 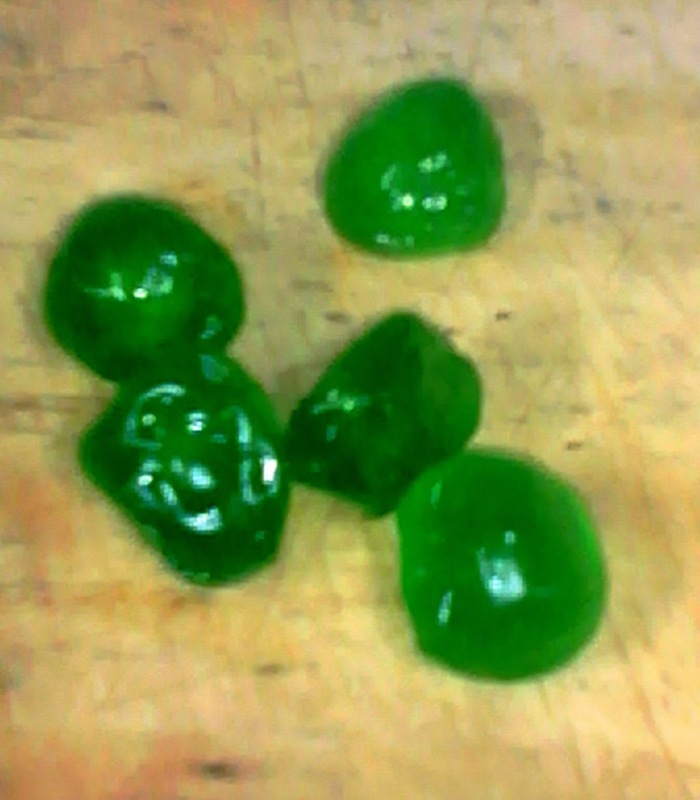 The green cherries were left over from a previous order, so wanted to put them to good use. 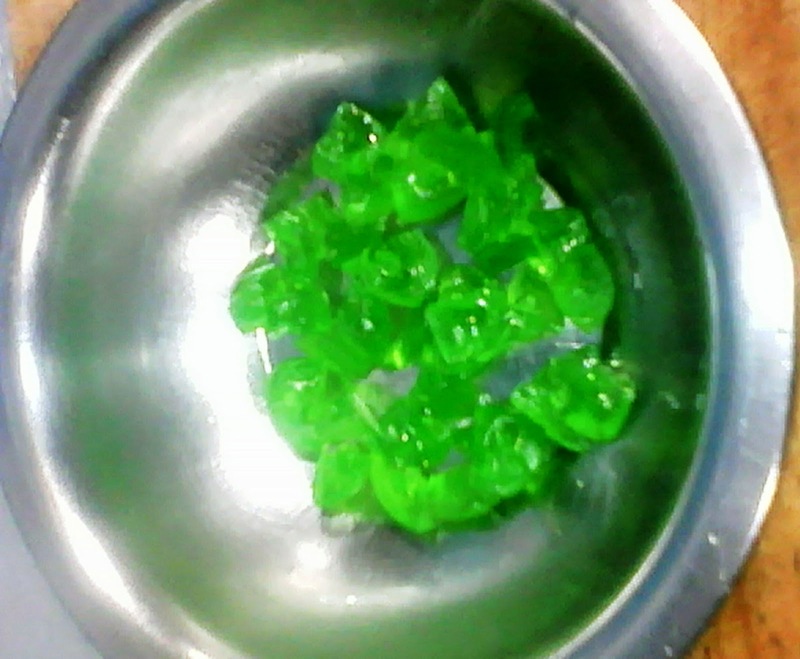 They are the glace kind, just wash them to remove the syrup then chop them up. If you have red cherries, you can use them too, the color will pop better as well. Soak the raisins/dried fruit in a bowl of water; then before use, dry both the cherries and dried fruits with a kitchen cloth. This time in the recipe caster sugar was used, just to show the difference in the regular and caster sugars. 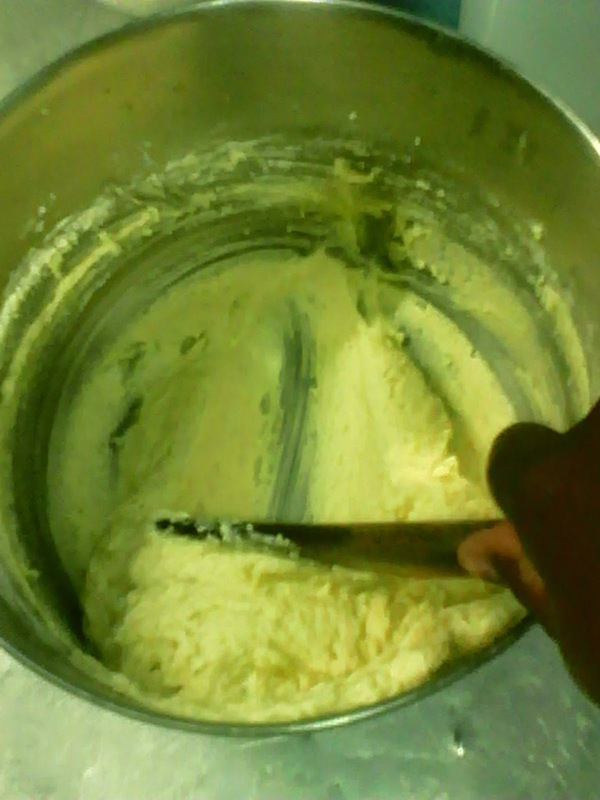 Caster sugar creams better since it's finer. If you don't have caster sugar you can use regular table sugar. 1. Preheat your oven to 180 degrees celsius or a medium heat. 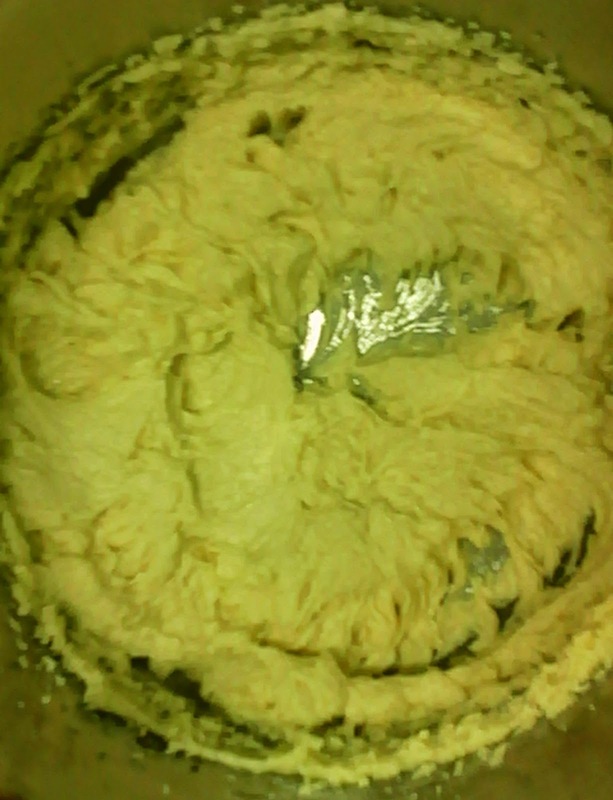 Grease and flour an 8 inch round cake pan and set aside. 2. Wash the glace cherries and chop them into quarters and set aside. Soak your dried fruit in a small bowl. 3. 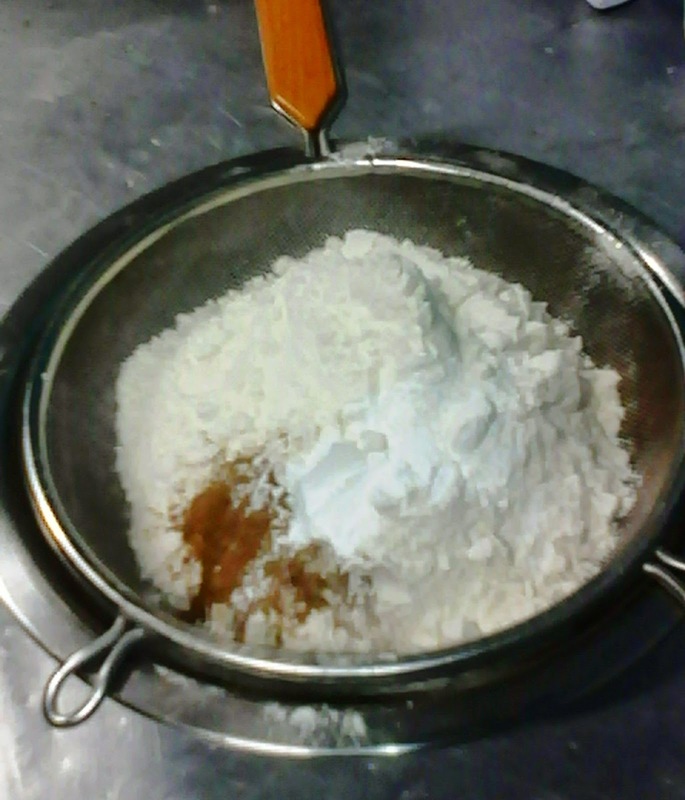 Measure all your dry ingredients and sift them onto a medium bowl i.e. 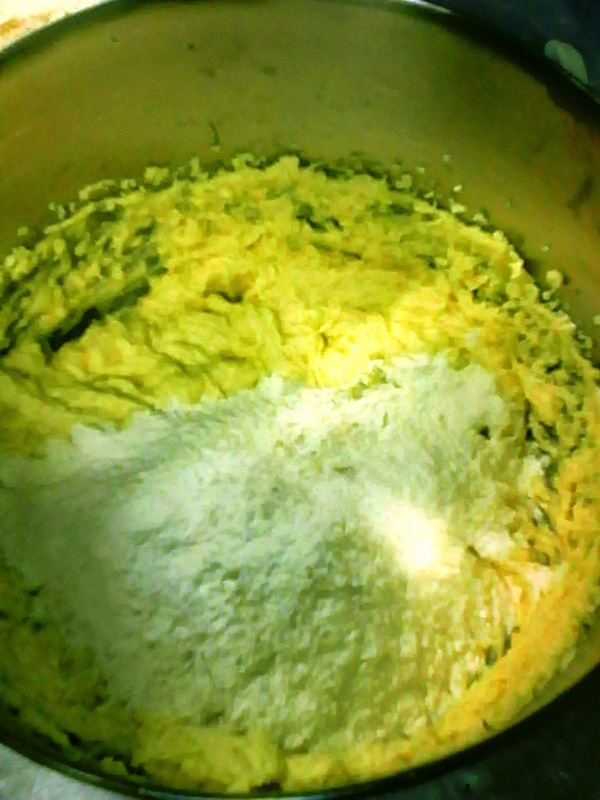 flour, baking powder and cinnamon. 4. 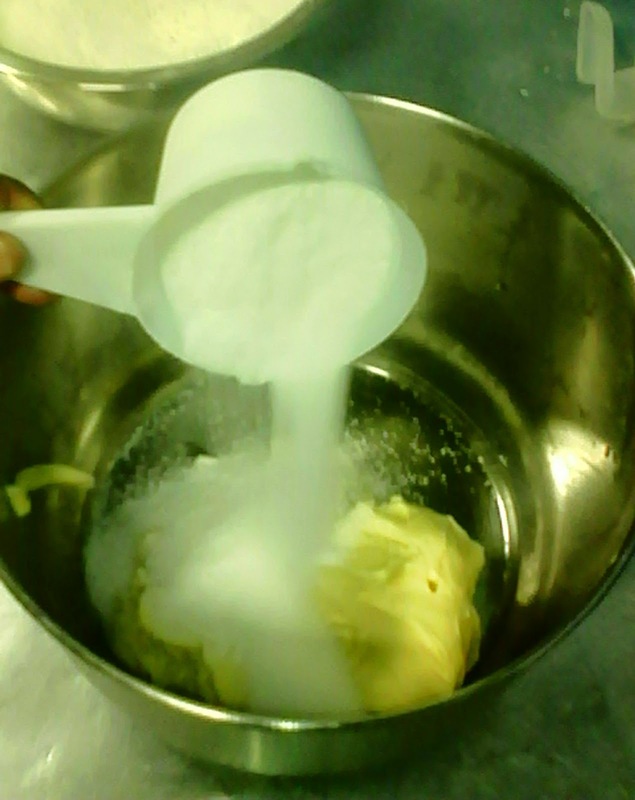 Measure your caster sugar and margarine into a medium bowl. 5. 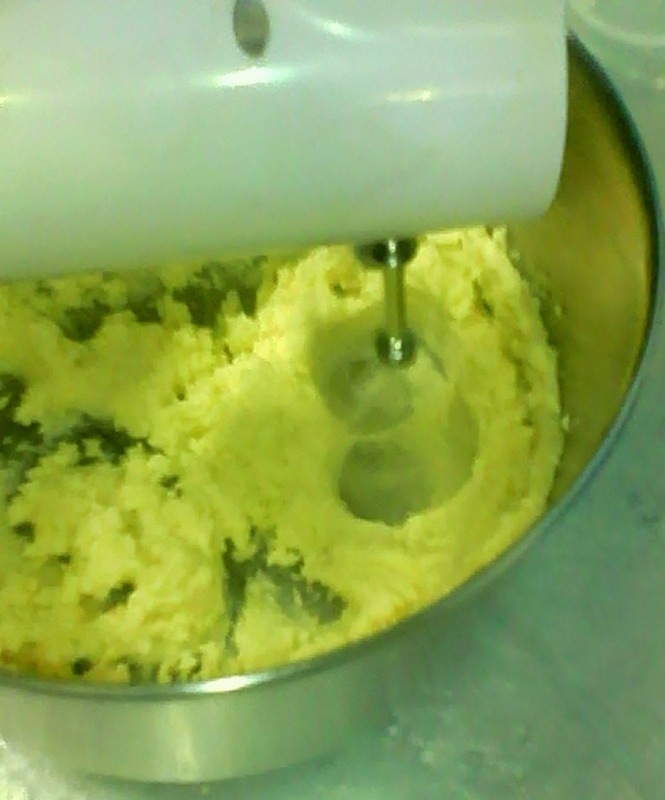 Cream the two for 5 to 8 minutes until white. 6. 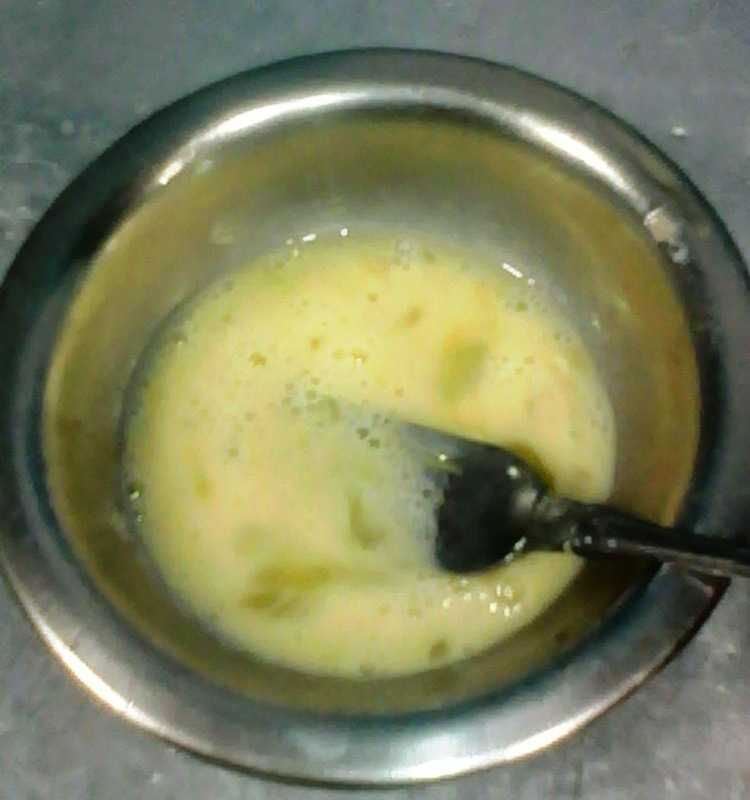 Add the vanilla and then beat an egg in a bowl, then add to the creamed mixture. 7. 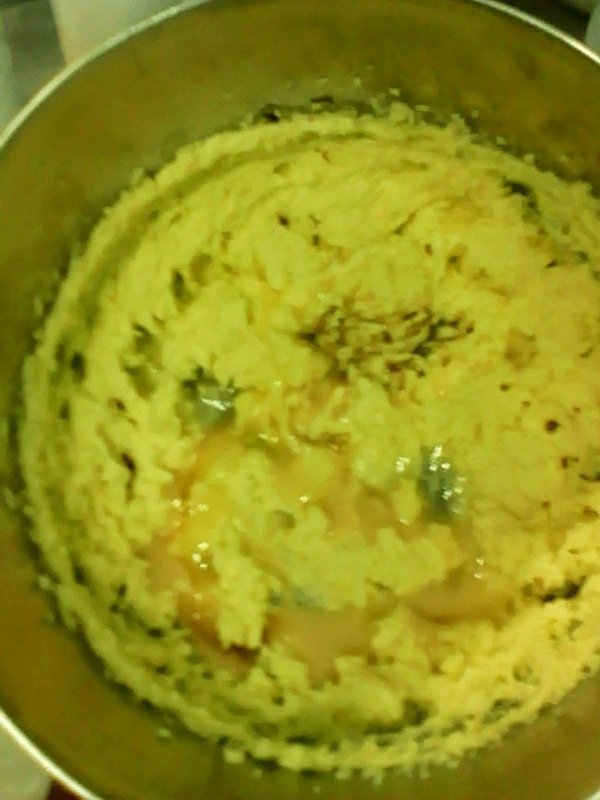 Beat for a minute, then beat the second egg in a bowl and add to creamed mixture and beat for another minute. Set aside your mixer. 8. 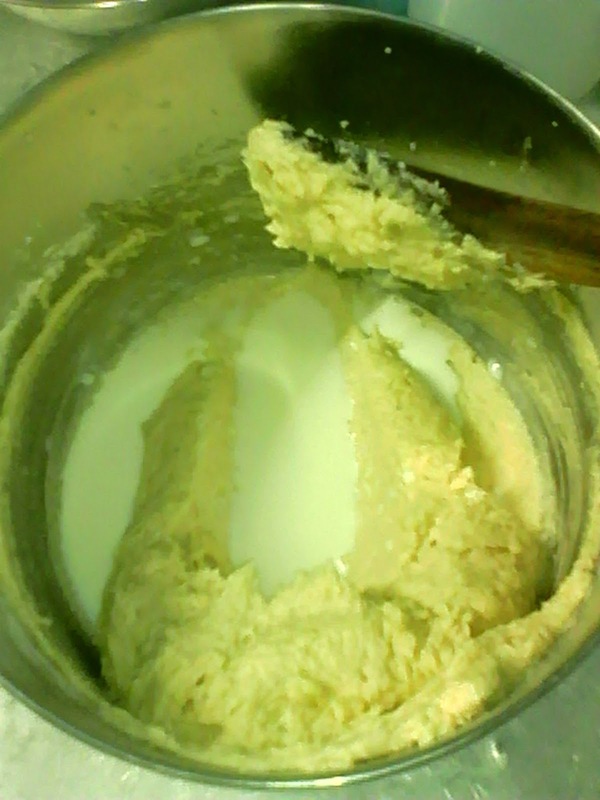 Add your flour alternately with the milk, start and end with the flour for best results. 9. Fold in the cherries and dried fruit gently. 10. 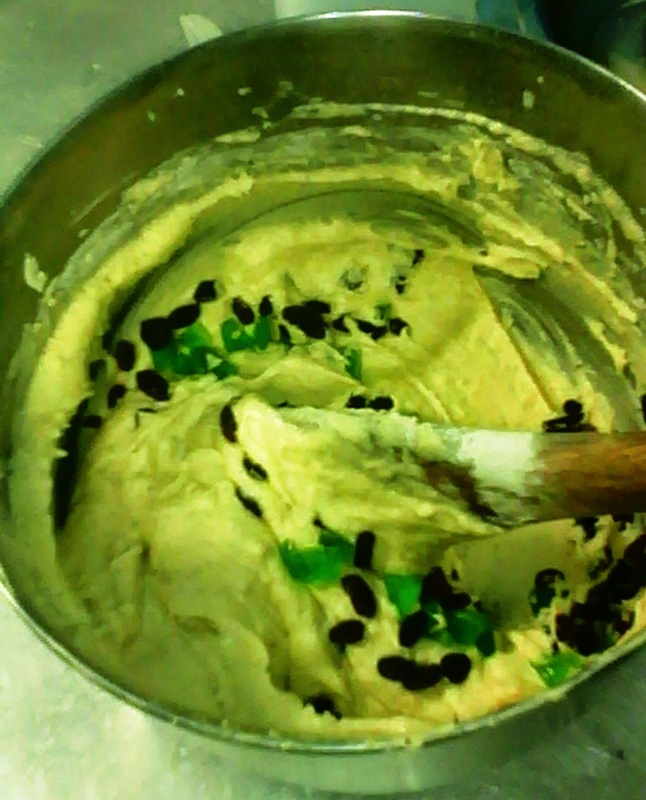 Pour the batter into a cake pan and place in the oven middle rack to bake. 11. Bake for 45 minutes to an hour, or until a skewer or knife inserted comes our clean. 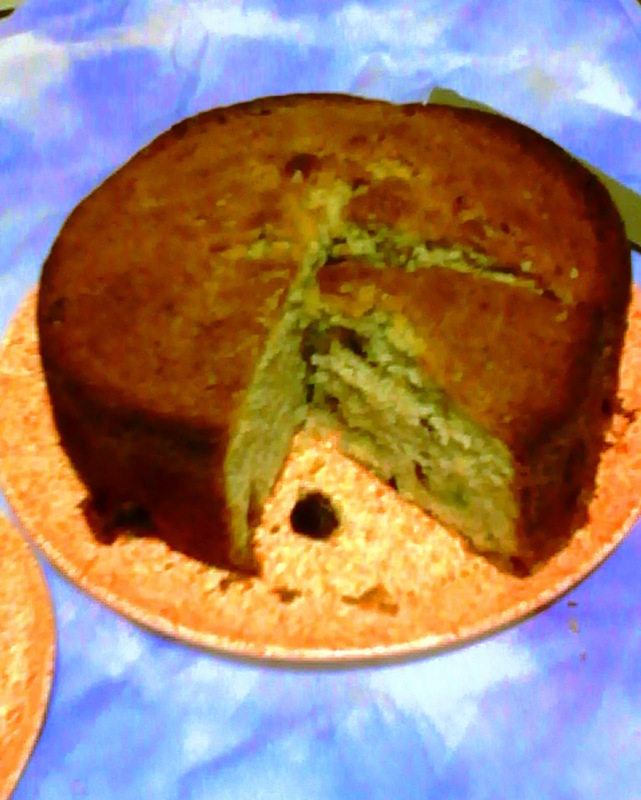 Cool for about 20 minutes then remove cake from pan and set on a tray or cooling rack. Cool completely and serve plain. 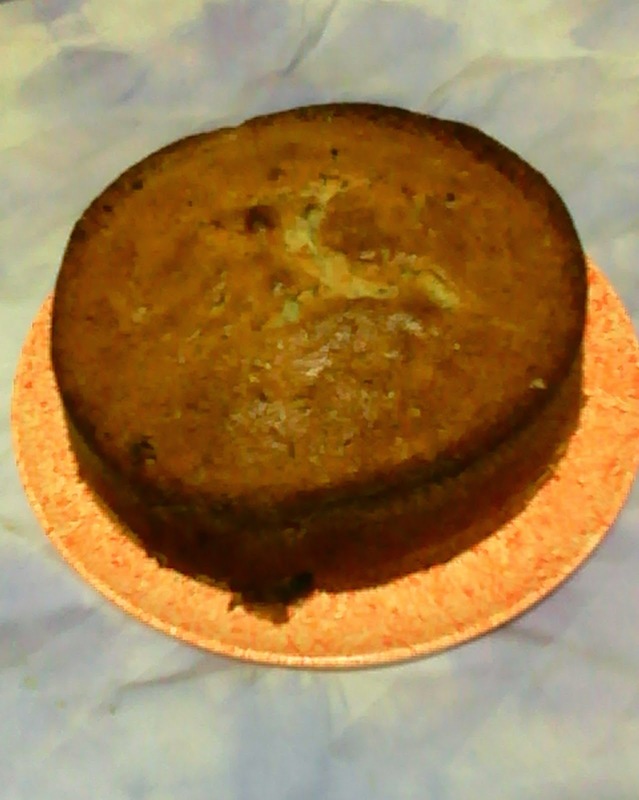 This cake is very rich, delicious and moist, best when eaten plain. However if you really want to, you can frost it. Try out the recipe and please share your feedback on how your recipe comes out please.